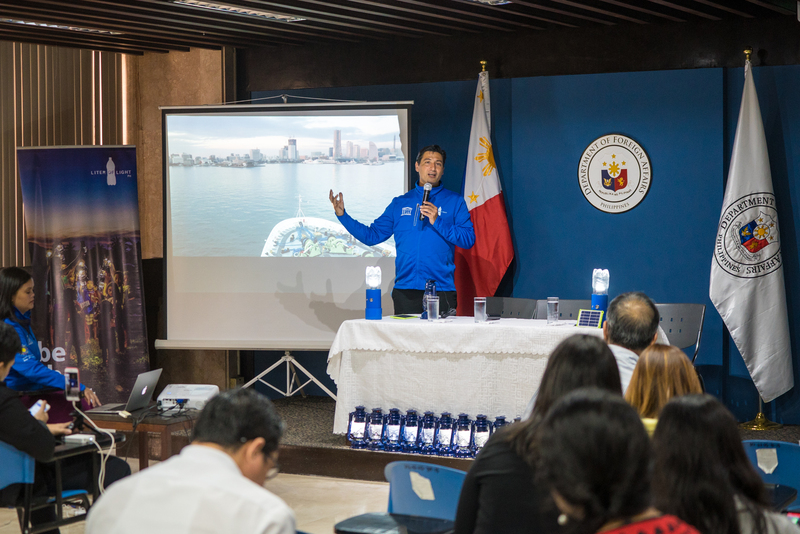 Despite being in the middle of the first leg of Peace Boat’s 100th voyage around the world, Illac Diaz and the team behind Liter of Light (1LL) travels back to the Philippines to talk about his mission for the Voyage of Light at a press conference at the Department of Foreign Affairs. The Voyage of Light is 1LL’s first global campaign around the world to deliver solar lights as well as train children in 80 ports in more than 100 countries on board the Peace Boat. The Peace Boat is known worldwide for its 2017 Nobel Peace Price win as well as the United Nations partner to promote sustainable development goals. Aboard Peace Boat, volunteers train the locals in each port on how to construct their own lighting solution as well as how to maintain it even after 1LL has left the country. According to Illac, it only takes 15 minutes to teach people how to build and maintain their solutions, and only PHP 10-15 to repair solar streetlights. 1LL’s mission through the Voyage of Light, however, is not only geared towards providing sustainable lighting solutions around the world but to encourage the youth—most especially the Filipino youth— to participate in life-changing experiences through volunteerism or social entrepreneurship. 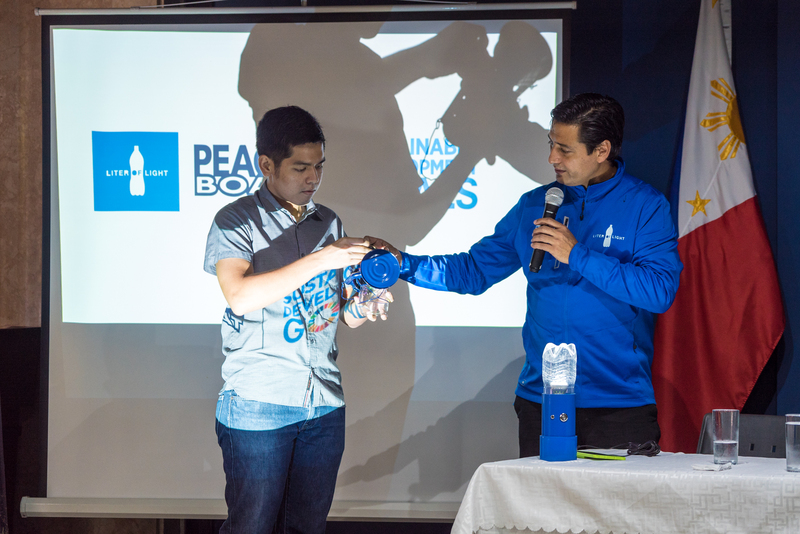 Besides 1LL’s participation, there are different educational programs aboard the Peace Boat that cover contemporary global issues including conflict, human rights, climate change, and the environment. On their 35h year, they are continuously showing their pursuit on worldwide change that can affect communities and individuals for the better.